Product #21109 | SKU 210955 | 0.0 (no ratings yet) Thanks for your rating! 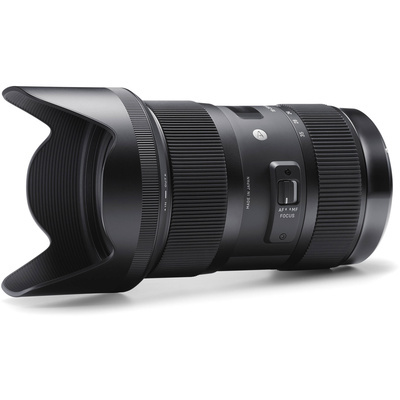 For updating lens firmware and fine-tuning its nuances to best suit your personal shooting, this lens is compatible with the Sigma USB Dock. The dock allows you to specify certain parameters and other settings through the Sigma Optimisation Pro software, such as AF speed and focusing limitations. Four aspherical lens elements, as well as the incorporation of five SLD glass elements, help to minimise the appearance of distortions and aberrations throughout the zoom range and provide clear imagery with enhanced sharpness. A Super Multi-Layer Coating also benefits the image quality by reducing reflections and flare and contributing to greater overall contrast and fidelity. An internal focusing and zooming mechanism helps to maintain a consistent overall lens length and a non-rotating front ring facilitates more efficient use of circular polarisers.